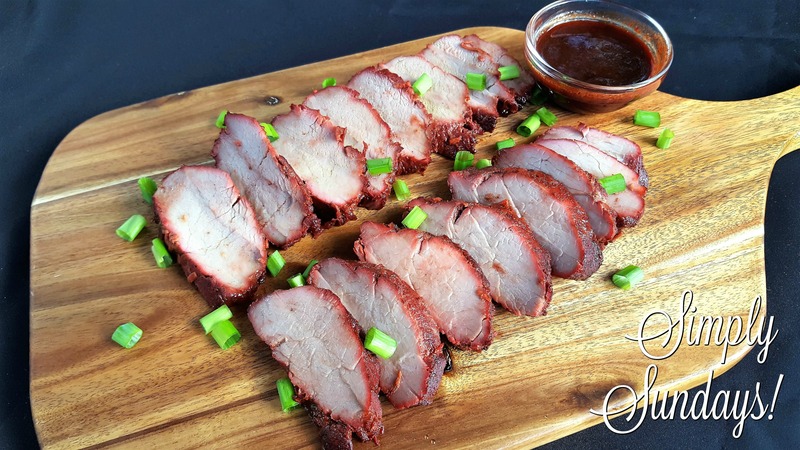 Chinese Roast Pork – Simply Sundays! It is actually from red food coloring added to the marinade! That being said here is our take on Chinese roast pork. This is great as an appetizer but just as good as the protein for a main meal! We served this with the pan sauce and some chopped scallions!